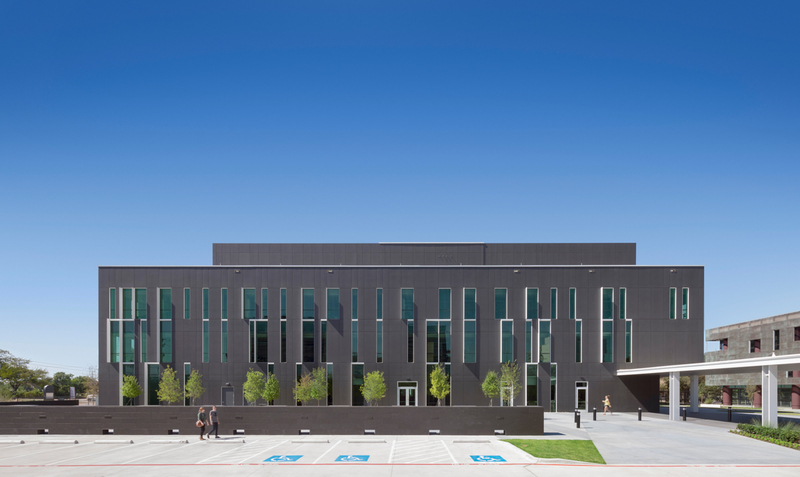 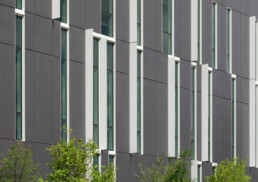 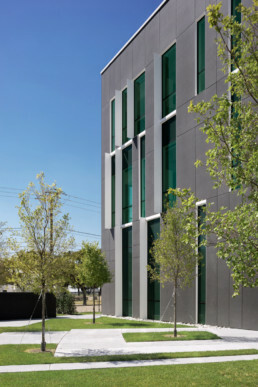 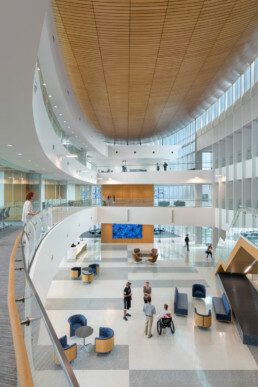 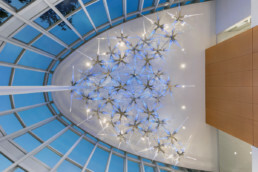 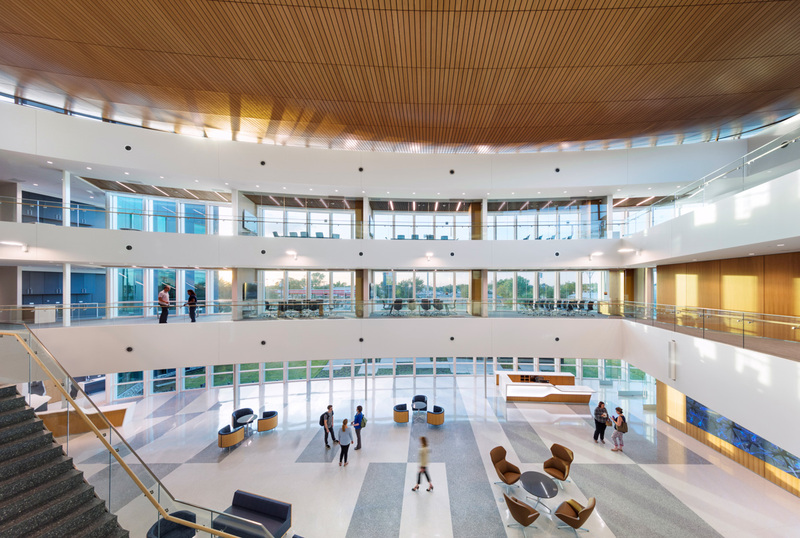 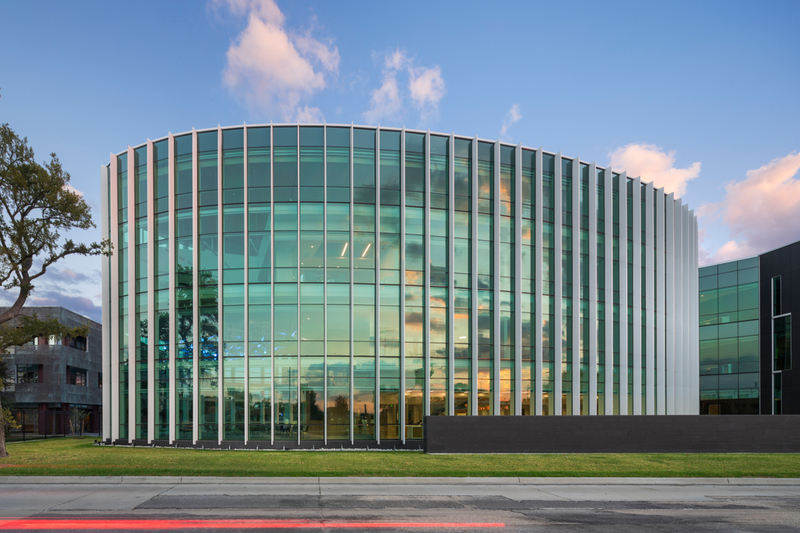 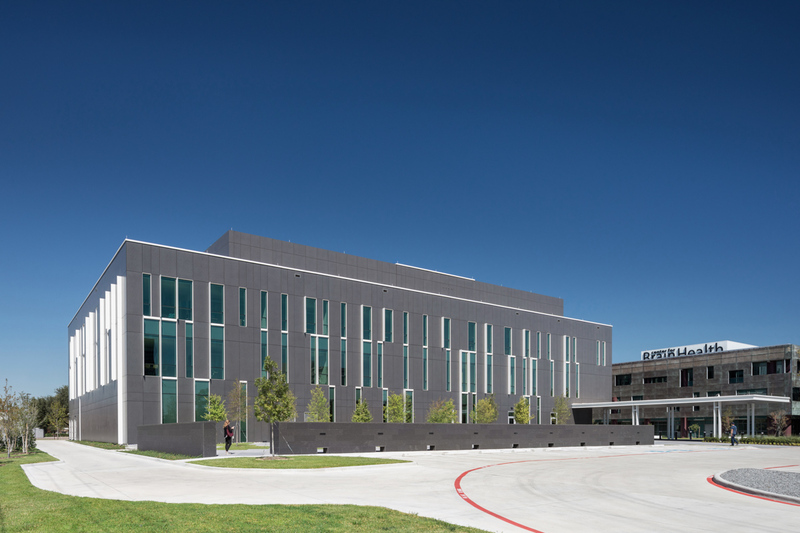 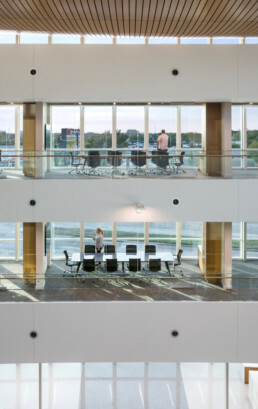 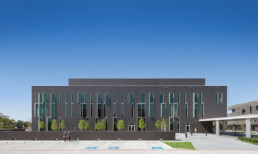 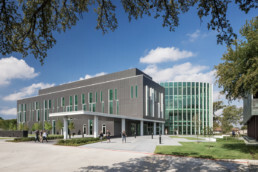 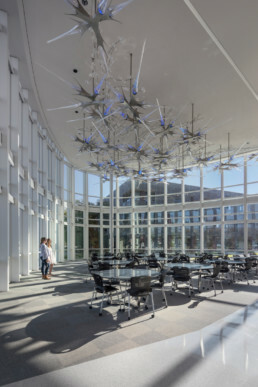 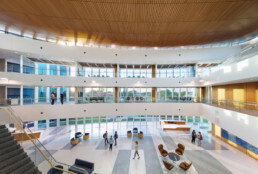 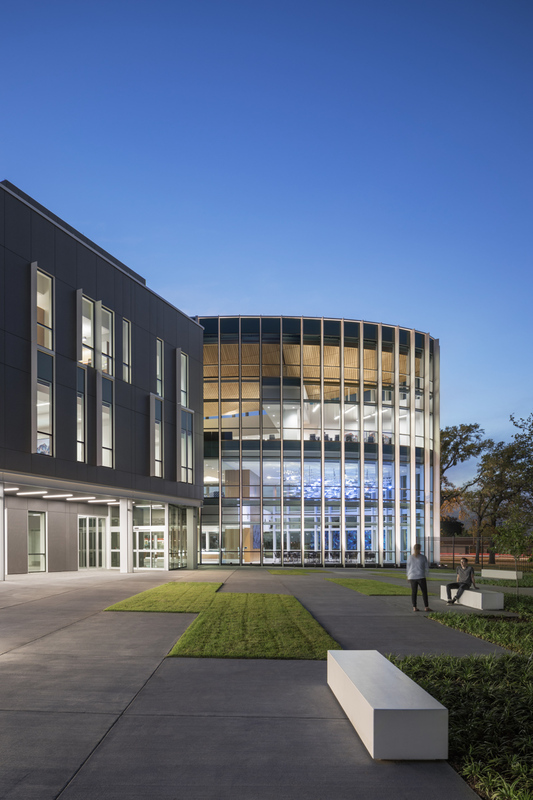 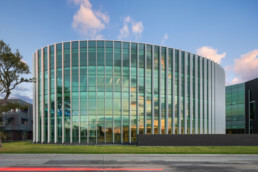 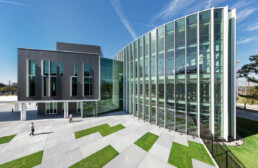 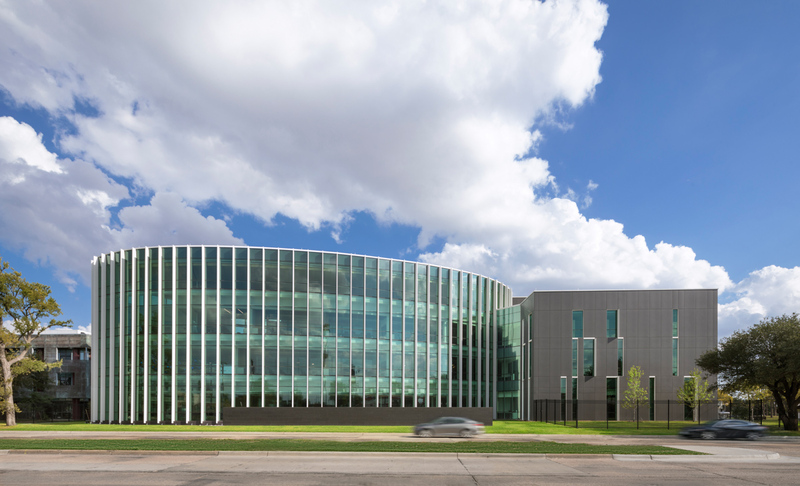 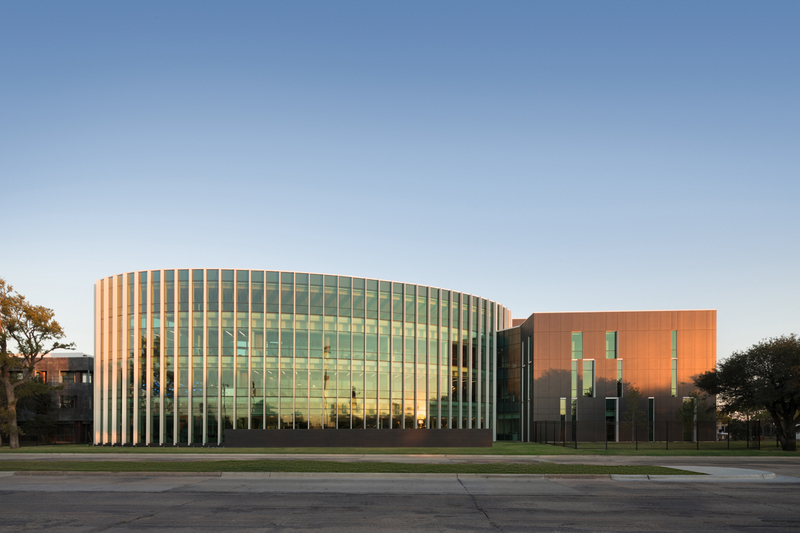 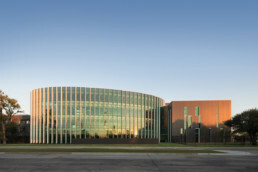 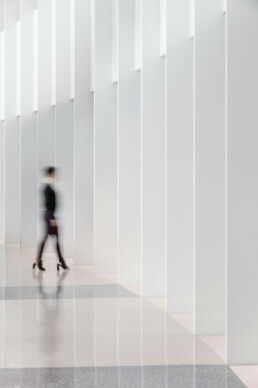 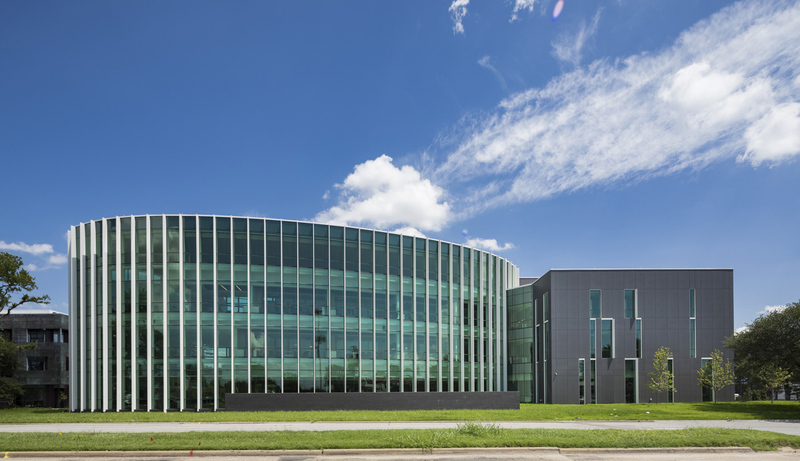 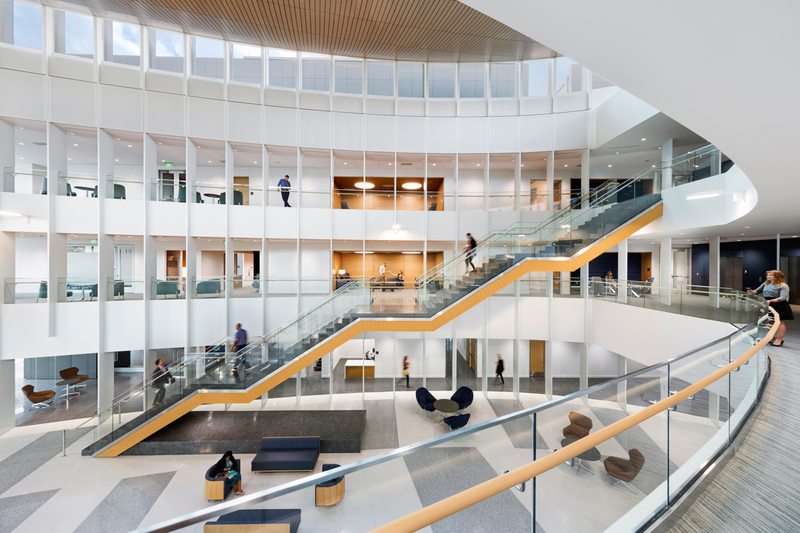 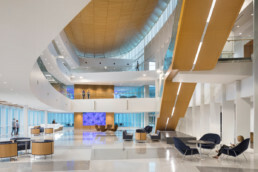 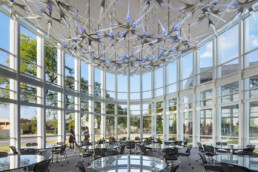 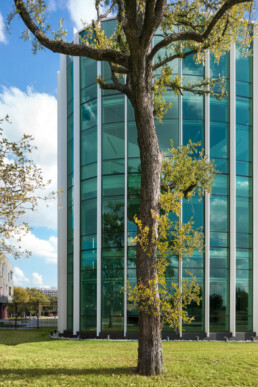 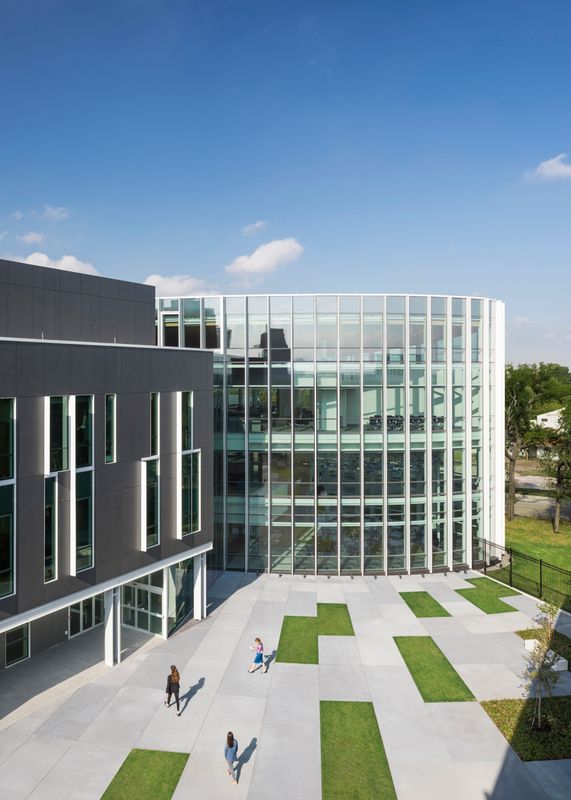 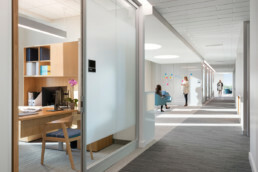 The new Center for BrainHealth’s Brain Performance Institute, part of The University of Texas at Dallas, which opened in October 2017, is the first in the world to focus on leveraging scientifically validated programs and assessments in order to maximize and extend brain performance, increase brain resilience and improve brain regeneration for people of all ages and conditions. 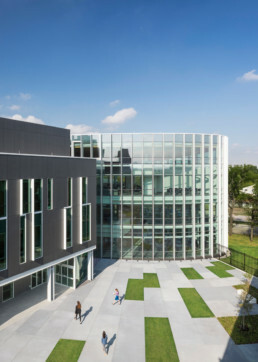 The 62,000-square-foot facility was designed to stimulate, train, and enhance the brains of each participant that visits the space. 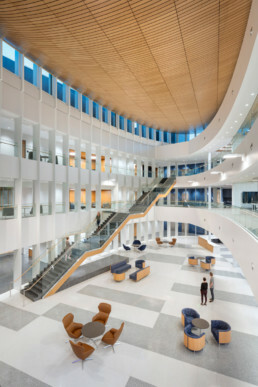 The building’s layout was informed by the brain itself. 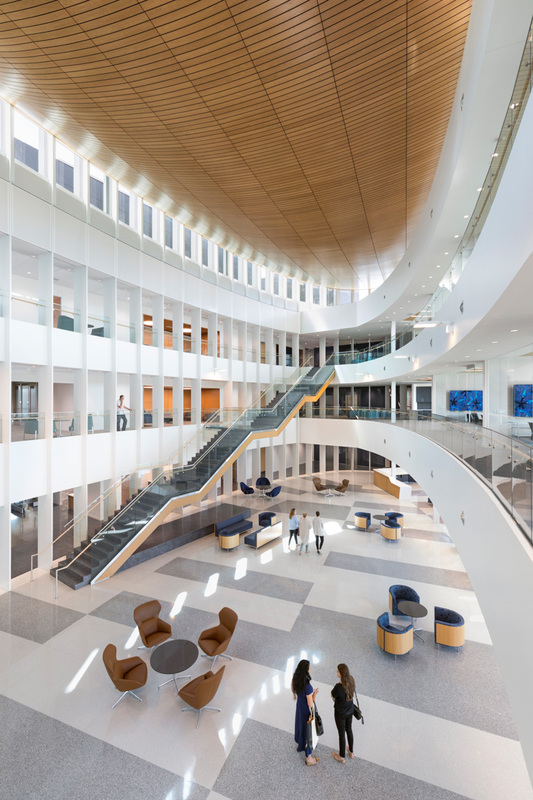 The frontal lobe, which is responsible for some of the brain’s most complex activities, inspired the building’s iconic elliptical design. 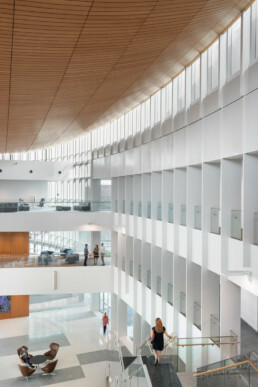 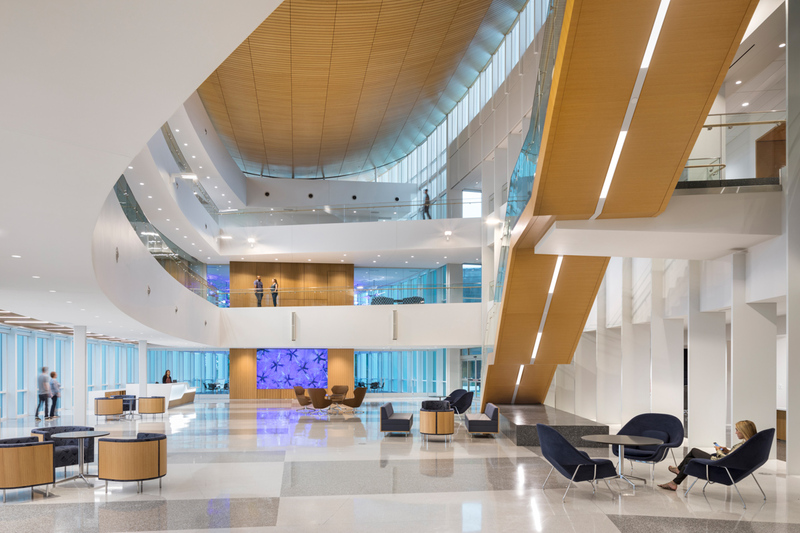 This dynamic entry lobby houses a grand stair, brain-inspired art installations, and a bowed wooden ceiling feature. Enveloping the ellipse, the remaining façade features a rhythmic pattern of solid and void panels inspired by an EEG strip. 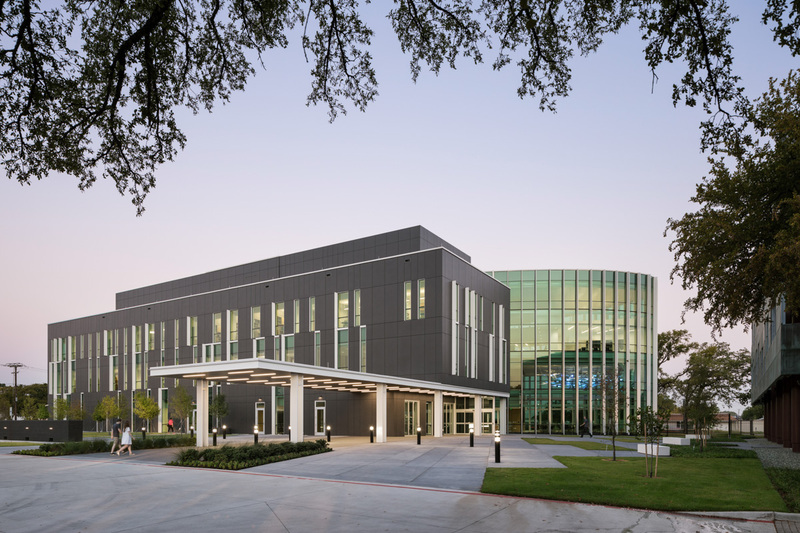 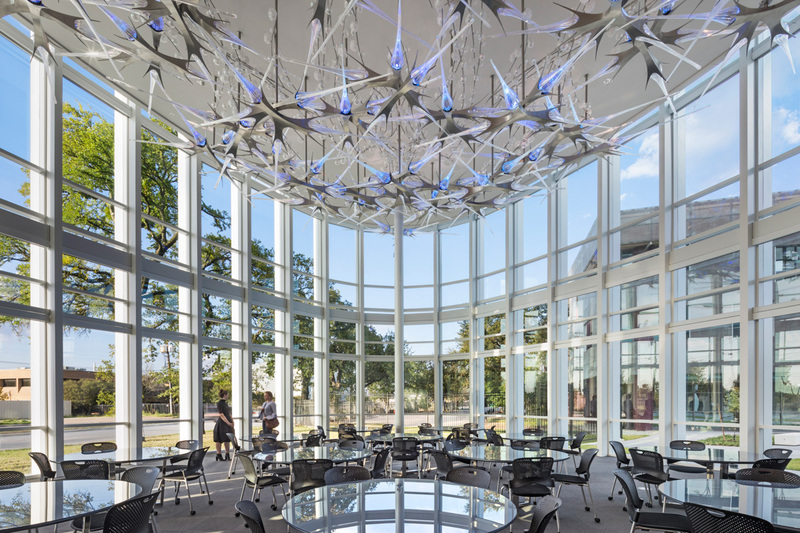 A variety of amenities are offered to meet the needs of varied participants, who range from athletes with repetitive head injuries, adolescents with ADHD, and seniors with Alzheimer’s disease. 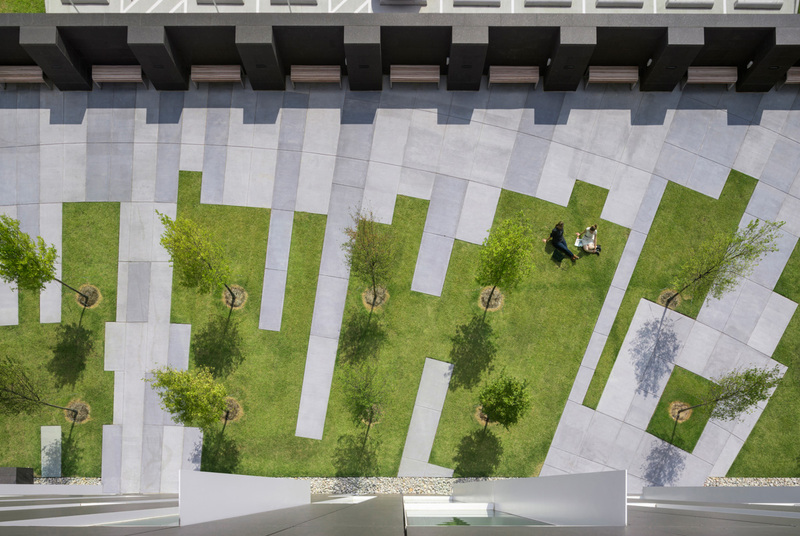 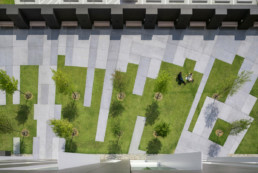 Exterior greenspace and interactive zones are woven throughout the site to help in both healing and reactivation. 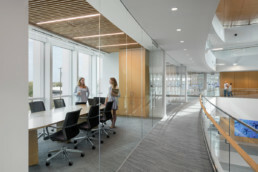 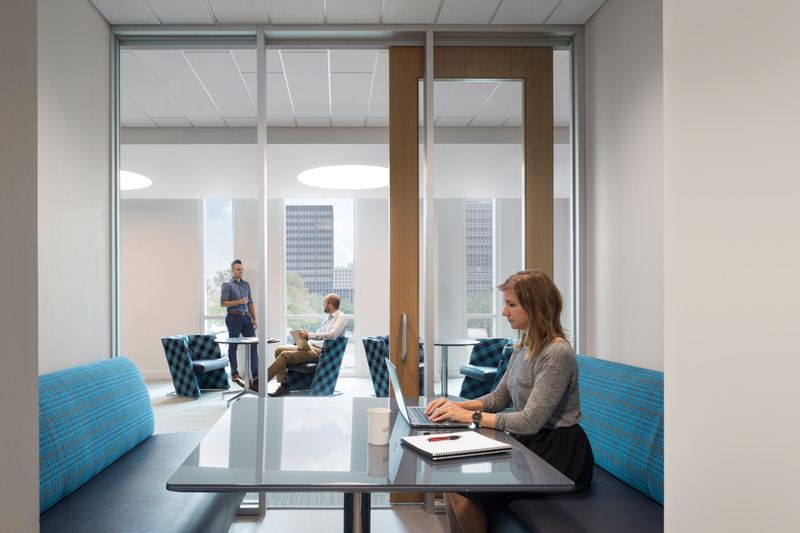 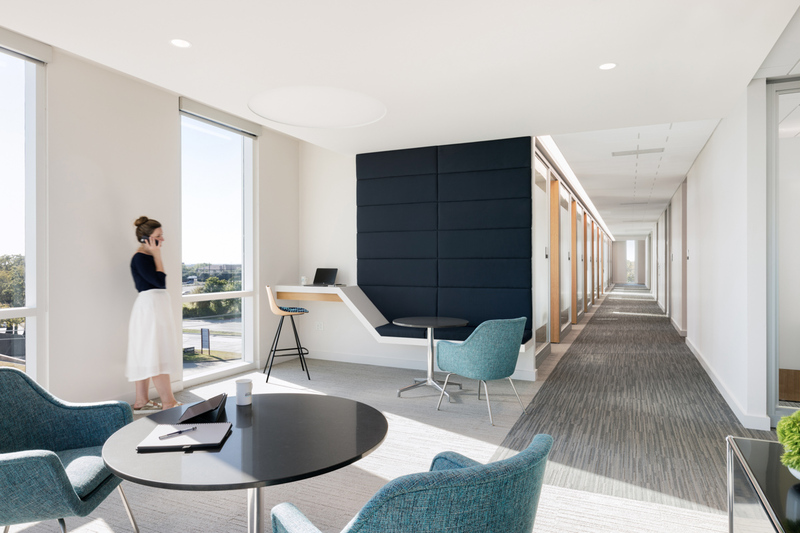 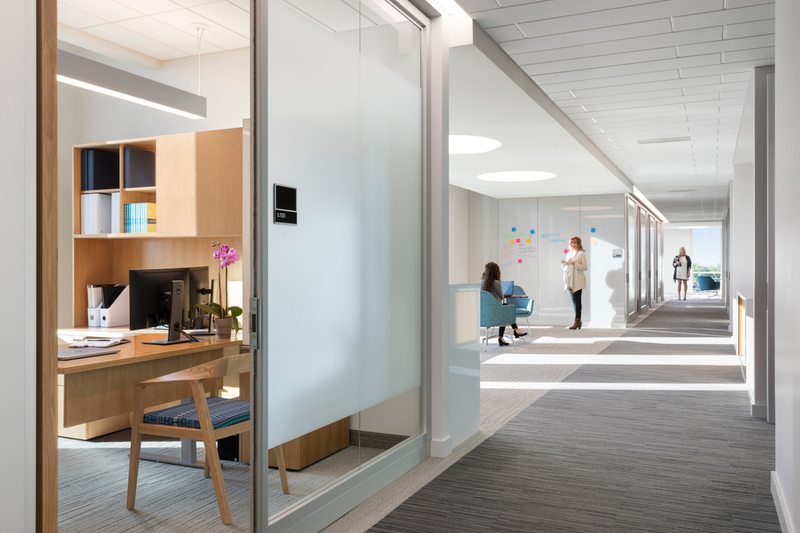 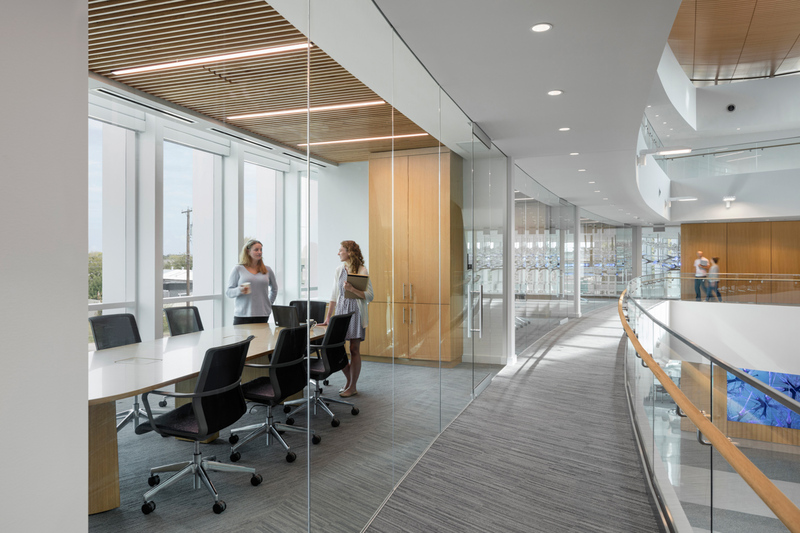 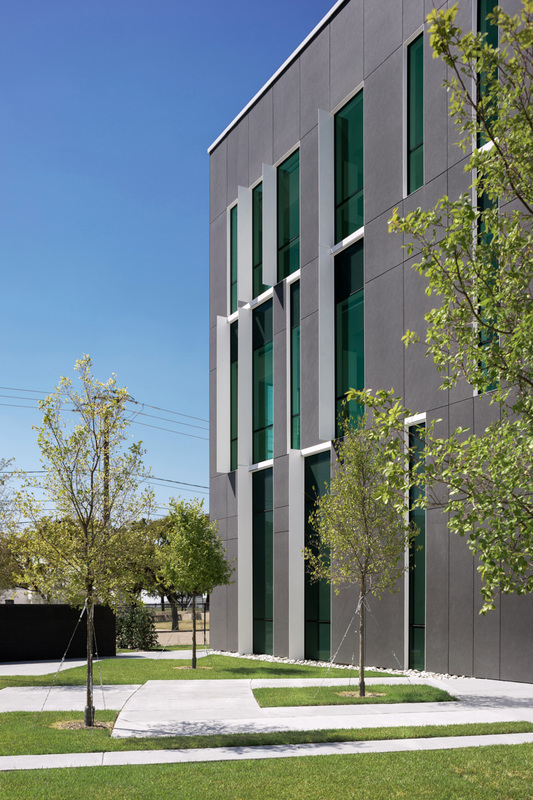 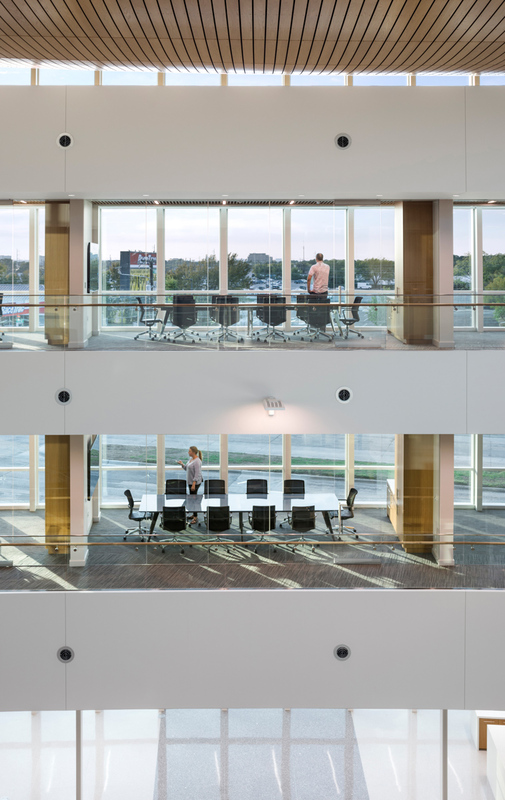 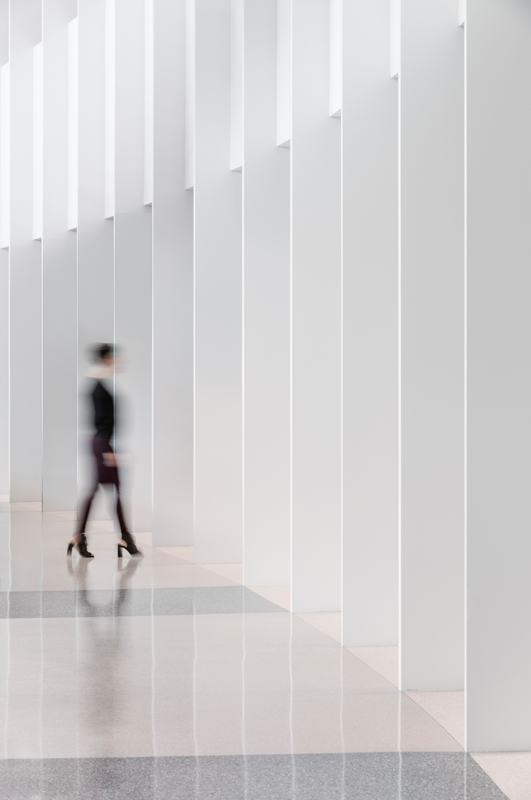 Training spaces are located along the exterior of the building to maximize daylighting and a connection to outside. 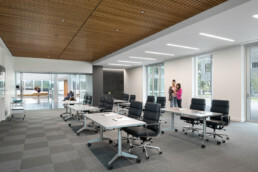 Classrooms on the first level open up to a healing garden designed for yoga and meditation. 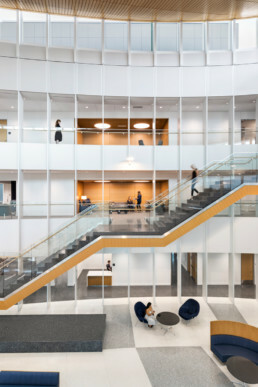 The upper levels include additional training rooms, internet cafes, and a variety of touch-down work spaces for visitors and family members. 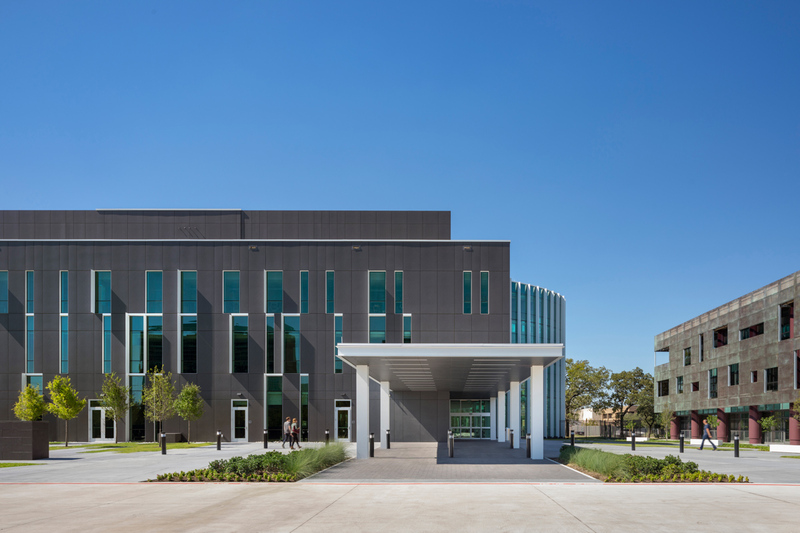 One key component is the Warrior Lounge, designed with valuable input from many veterans being treated for traumatic brain injuries, and their families. This intimate room offers a quiet retreat, maintaining a view of the main lobby and grand staircase without impinging on warriors’ desire for feelings of privacy and security. 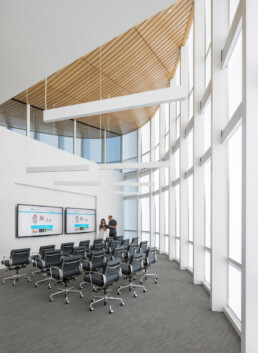 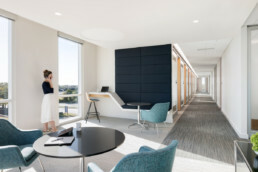 Other unique elements include a Virtual Reality lab, MRI imaging clinic, and Telepresence Room which allows interactive training sessions to be broadcast world-wide. 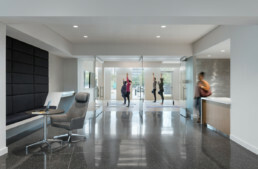 Cutting-edge transformative research will be generated within the functional MRI clinic which can be directly applied in the training programs on the floors above. 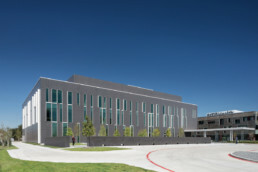 Larry Speck, lead designer, describes the design goal as “aimed at generating an inspiring and welcoming place for people to come for a truly life enhancing experience.” The Brian Performance Institute has been designed to dispel myths surrounding brain disorders and to make UT Dallas the foremost destination for brain research and innovation in the world.